Japanese industrial conglomerate Hitachi (6501:JP; $30bn market cap) abruptly stops its nuclear power projects in the U.K. They announced to book a loss of $2.8bn (300bn Yen) to write down its British nuclear business. Hitachi also said they will shift away from the reactor sales business worldwide. After the $6.4bn acquisition of ABB´s power grid division in last December, the risks to its balance sheet apparently were judged too high. Financial investors welcomed the step. Hitachi shares in Japan jumped by more than 10 percent late last week when first reports were published. This means the end to the large Wylfa nuclear plant (Wales) which was originally planned by German utilities E.ON and RWE some years ago. It also means the end to the second Hitachi plant planned in Oldbury. The exit represents a major blow to British energy policies, started by Tony Blair in 2006, which were to rely on new nuclear plants to replace aging units over the next two decades. Wylfa alone was to provide 7 percent of British power. About 7 GW of nuclear capacity are scheduled to shut down in the 2020s. Late last year Japan´s Toshiba quit the Moorside nuclear project in the UK in a similar move. EDF´s project in Sizewell (a carbon copy of Hinkley) and Bradwell (Chinese design) appear vague, as EDF lacks the financial firepower and as political troubles with China mount. At present, Hinkley Point (EDF and China´s CGN) is the only new nuclear project under construction. The British government was prepared to guarantee high power sales prices (Wylva 75 GBP/MWh, Hinkley 92.5 GBP/MWh, both plus inflation adjustment), but the upfront construction cost risk remained a major hurdle. London now contemplates a switch to “regulated asset base” approaches which could shift the construction cost risk to taxpayers. London is now in an awkward position of either relying more on Chinese nuclear suppliers, or to burn more gas and coal, or to double its efforts to promote renewable power generation and large energy storage. Hitachi´s exit shifts the nuclear turnkey business even more to Russian and Chinese state-backed suppliers and implies the end of Japanese nuclear projects abroad. Japan´s nuclear companies had amassed a number of projects over the past decade. None of them materialized as cost estimates were rising and investor risks appeared too high. Japan´s farewell to global nuclear ambitions will not be the last. 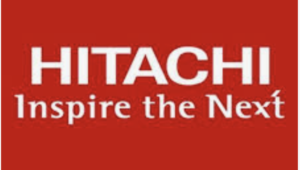 Other companies will follow Hitachi´s slogan: “Inspire the next”.